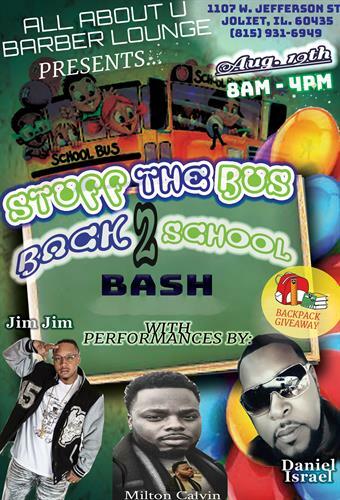 All About U Barber Lounge is hosting our 2nd Annual Back to School Bash! Latoya Medina and her awesome staff will be providing free haircuts and braids for school age children. Also, All About U Barber Lounge is having a backpack giveaway. This event will be lots of fun with musicians, snow cones, food and so much more!!! AAUBL is gratefully accepting donations for supplies!! We are looking to reach as many children as possible. We can't wait to see everyone at our Back to School Bash! !